Blog Posts | Girl Talk Blog | Girl Talk informs teen girls about the choices and consequences of underage drinking…and all things GIRL! It’s hard to believe it’s been four years already, but the Winter Olympics are just a few short months away from being here once again! The 2010 Olympics will be held in Vancouver, Canada from February 12-28, while the Paralympics will take place from March 12 to March 21. Additionally, the Cultural Olympiad, which will be the final festival in a series of three that began in 2008, will take place from January 22 to March 21, and will feature a variety of diverse artists from Canada and around the world showcasing music, film, dance, art, and theater, and more. The Olympic Torch for the 21st Winter Games was lit in Athens, Greece (the birthplace of the Olympics) on October 22, 2009, and travelled by plane to Victoria, British Columbia in Canada to begin the Olympic Torch Relay. The Olympic Flame is currently in the middle of its 106-day, 27,962 mile journey through Canada, and will be carried by about 12,000 torchbearers on the way to Vancouver. The tradition of the modern-day Winter Olympics can be traced back to 1924, where they were held in Chamonix, France. The events included in the games have changed over the years but today include alpine skiing, cross-country skiing, freestyle skiing, curling, figure skating, ice hockey, speed skating, snowboarding, curling, the bobsleigh, the biathlon and more! What events are you most excited to watch? For more information about the upcoming winter games, check out the official website here! -If you can, try to shampoo every 2 to 3 days – shampooing too often can deplete natural oils and dry hair out. -Don’t forget conditioner! Winter is a good time to opt for a heavier conditioner than you would normally use. Try leaving conditioner on for a few minutes in the shower before rinsing out. -Avoid styling products with alcohol- they can be very drying and cause static, which is also a result of dryness. -Use milder cleansers in the winter, avoiding harsher detergent ingredients. Examples of more gentle ingredients to look for are sodium laureth sulfate and cocoamidopropyl betaine. -Make sure to moisturize skin using a rich moisturizer, which is especially beneficial post-shower. In the winter, an oil-based cream is more effective at warding off dry skin and itchiness caused by cold weather than a lighter lotion. Since Halloween is approaching, why not plan to throw a Halloween party with friends? You can never be too old for dressing up and eating candy! Rent some scary movies (depending on how scary or horrific you want to go) – some good picks are The Ring, Silence of the Lambs, The Village or Twillight. Hang up fun, spooky decorations like spider webs, or put in a black light. Have a costume competition and hand out prizes to the winners for different categories like funniest, scariest, most original, etc. Buy (or even pick your own!) pumpkins and get creative with pumpkin carving. Gathering your friends to watch some scary movies and hang out is a fun way to get into the Halloween spirit. 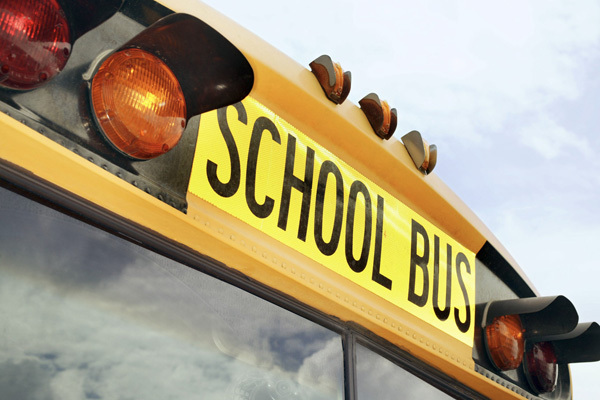 It’s that time again….back to school! Summer’s finally over, and it’s time to focus on the brand new school year ahead. With the new year comes new opportunities to try out some activities you may have been considering, and for your old favorite activities to start back up again. With the fresh start of the school year, what activities will you get involved in? Will you stick with a sport or club you love? Give something new a shot? There are so many different activities to choose from. Getting involved in the student government, trying out for a play, taking an art class, joining the chorus, or working on the newspaper or yearbook are all great options. Trying out new things lets you test out different strengths and can show you new talents you didn’t know you had. At the same time, participating in activities you’ve done for a while, such as the soccer team, or playing an instrument help you develop skills you’ve been working on. Getting involved in activities are a great way to meet new people, and provides a good break from all that school work! Catch a free movie outside! As summer winds down and the beginning of a new school year approaches, it’s time to get outside and soak up the last days of summer in August! I try to spend as much time outside in the summer as I possibly can. Invite friends over for an end of summer BBQ – Fire up the grill and make burgers, hot dogs, and other BBQ staples like corn (also great on the grill! ), coleslaw, salad, etc. etc. Or make it potluck style and have friends bring their own cookout favorites. You could even keep the fire going and make s’mores at the end of dinner. Yum! 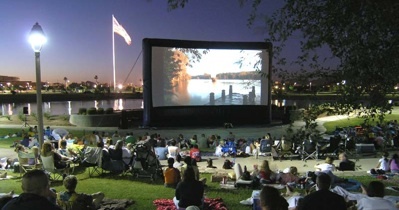 Check out local outdoor concerts or music festivals; also check to see if there are any outdoor movie screenings, which are usually free! Of course, there are endless (not to mention free, or at least very cheap) ways to get outside and catch the last days of summer, so get creative! Girl Talk Presentation at Julie Foudy Sports Leadership Academy Today! Girl Talk is at the Julie Foudy Sports Leadership Academy again today! This is the third and last academy of the summer and The Century Council is thrilled to be a part of it. This week Julie and the girls are in Moraga, California at St. Mary’s College. To get a taste of what the girls do, Julie sends a movie email to the parents each night. Check out the video from the last academy when Girl Talk presented! Who says you can’t be fashionable and a sporty chick all in one! You can compete for the gold with the best of them and do it all in style. Snowboarding X Games champ and Olympic gold medalist Gretchen Bleiler is changing fashion for female snowboarders and athletes. She is said to be the single most accomplished female snowboarder in the world. She found her passion for snowboarding at age 11, and has been collecting awards ever since. She accomplished it all while hitting the slopes wearing men’s XS snowboarding gear. Tired of the limited variety, she decided to revamp the women’s snowboarding wardrobe. She teamed up with sporting gear company Oakley to create her ideal snowboarding and outerwear collection. It is currently in stores and the next collection is slated to hit stores in the fall. Her goal was to make fashionable, edgy clothing for females. She spent countless hours constructing the perfect blend of edgy graphics and details in bold and bright colors. The clothing is sporty, yet still feminine. Now you can look sporty and chic while winning a medal or competing. Check out Gretchen’s interview with Nick Magazine and Ask, Listen, Learn. When she’s not out on the icy mountains, she enjoys surfing, mountain biking, interior design and fashion. She’s active in a number of environmental organizations and helped to create Snow Angels Invitational, a new all-female invitational superpipe competition at Snowmass. You can accomplish anything with a dream and the desire to obtain it! Go for the gold, ladies!